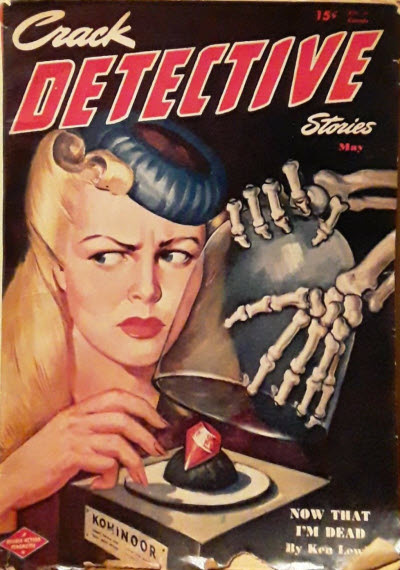 Crack Detective (and Mystery) (Stories) et al. 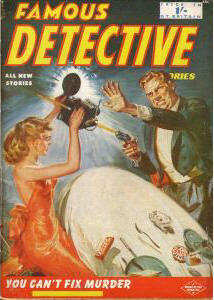 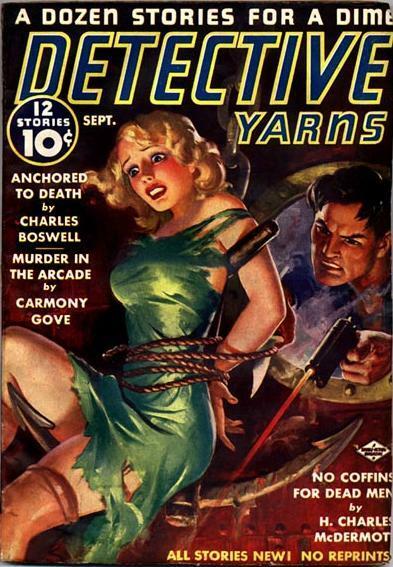 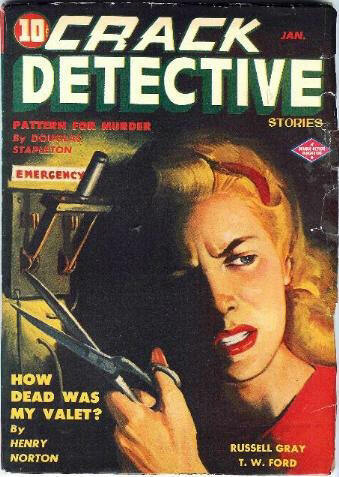 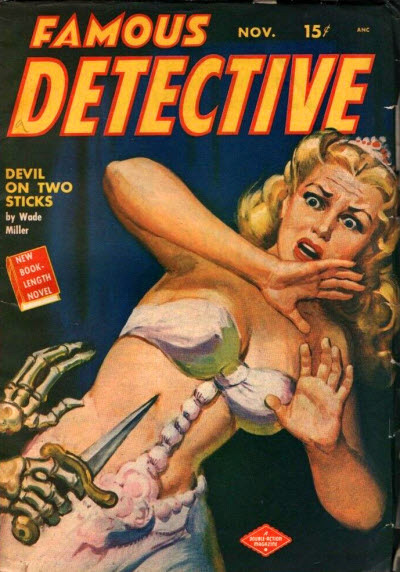 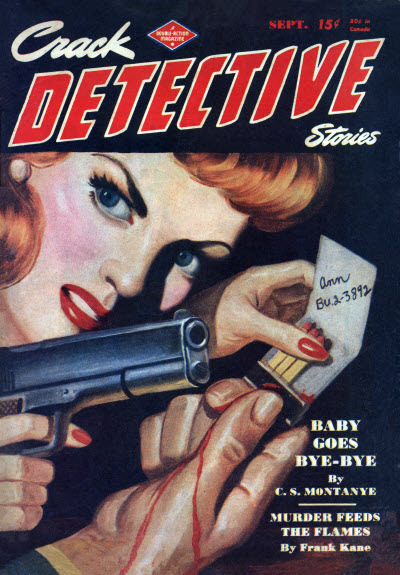 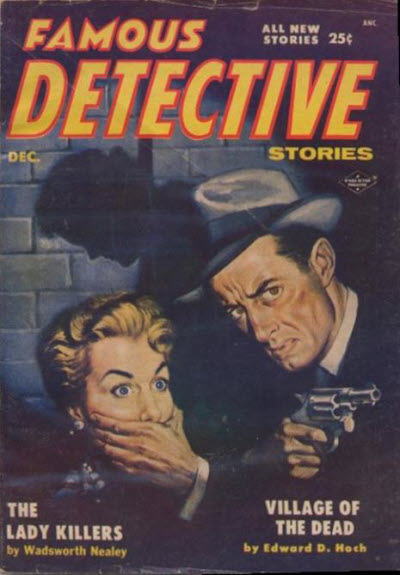 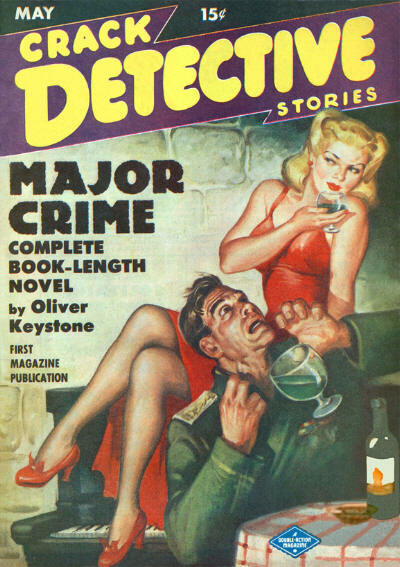 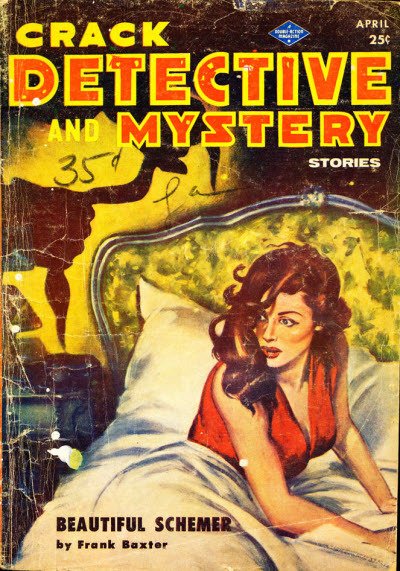 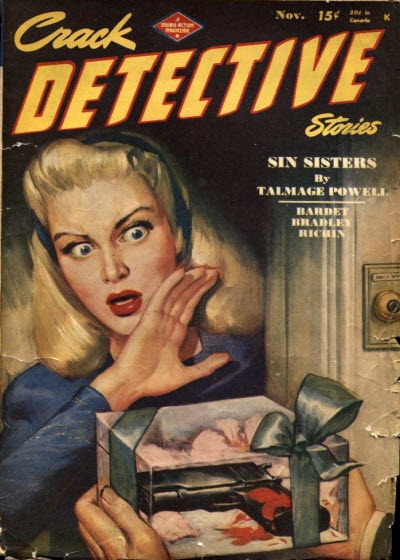 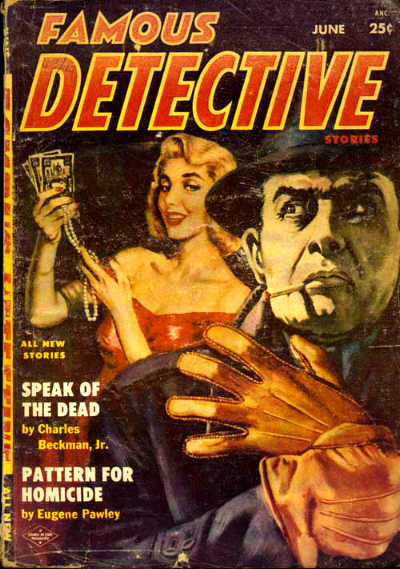 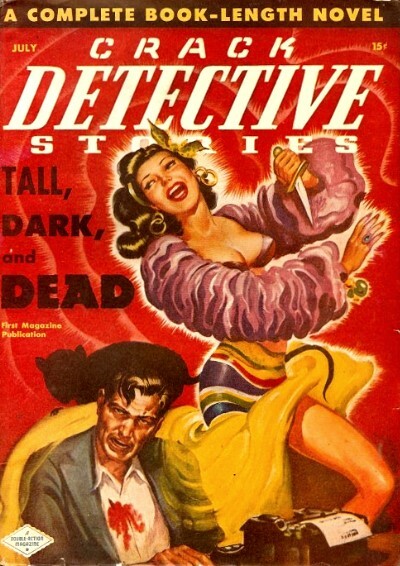 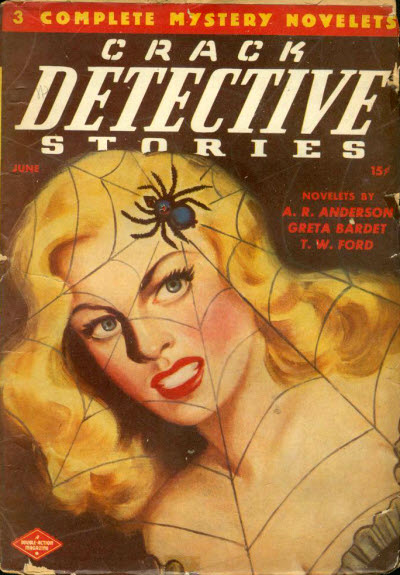 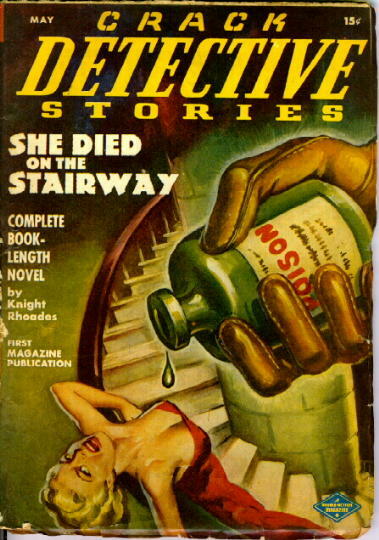 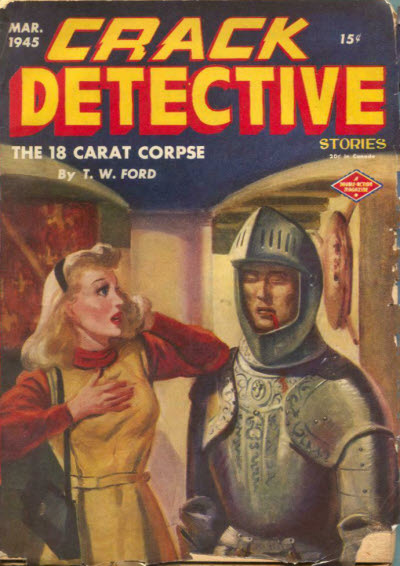 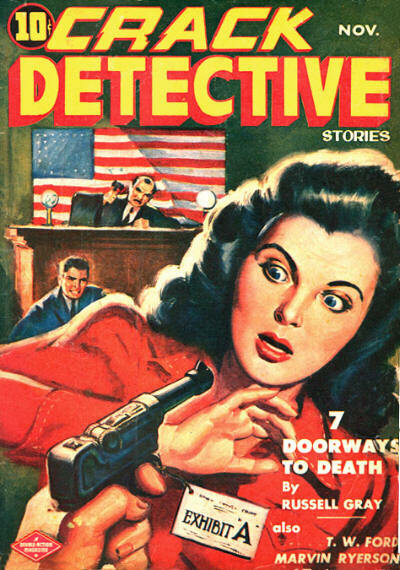 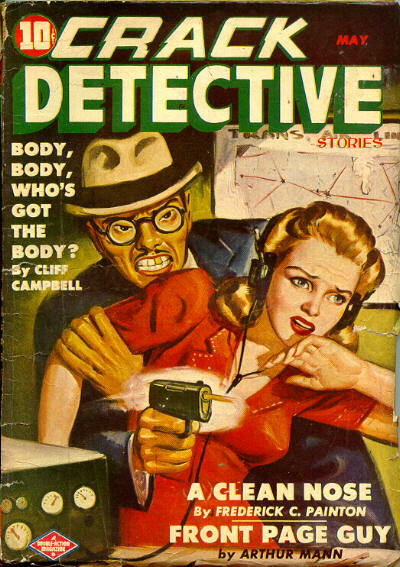 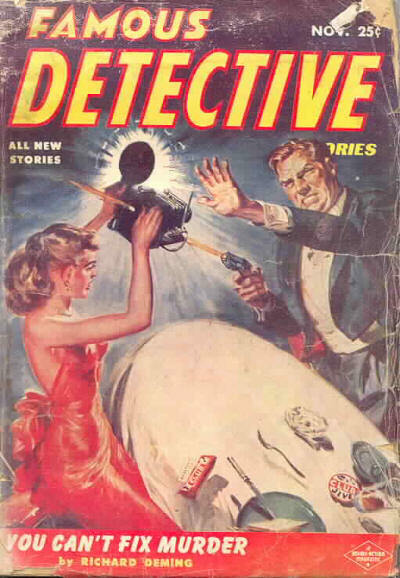 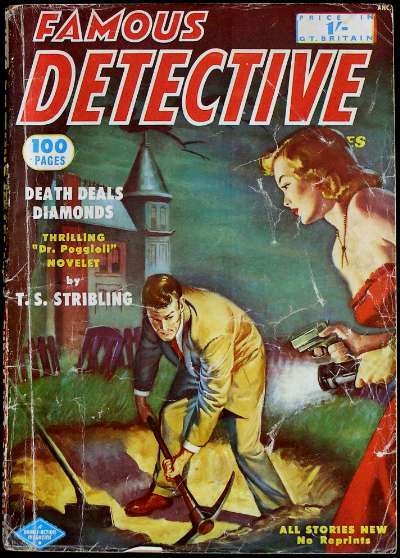 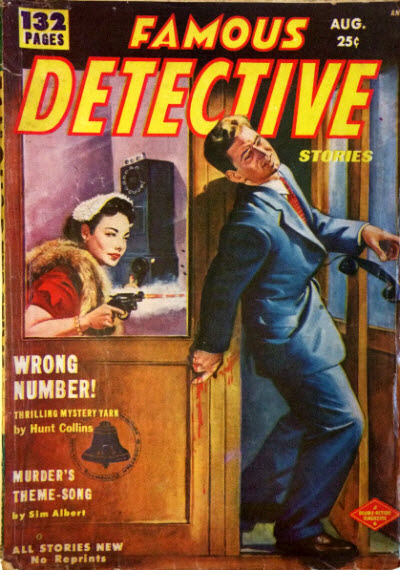 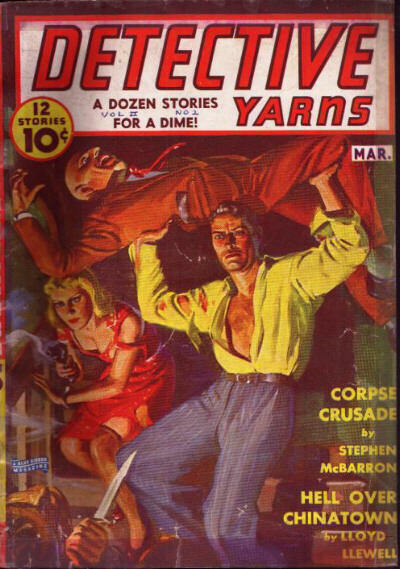 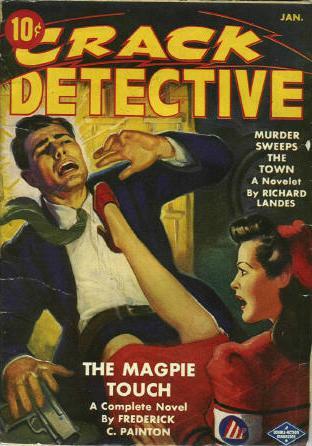 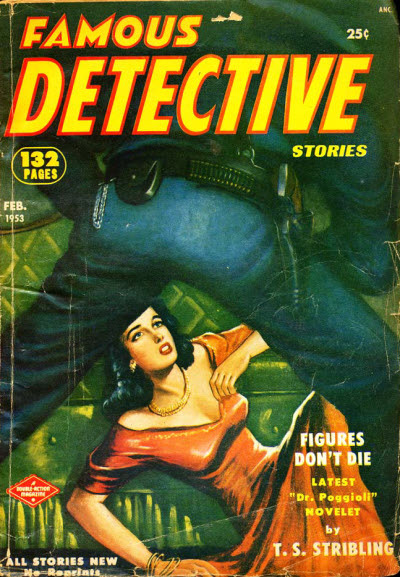 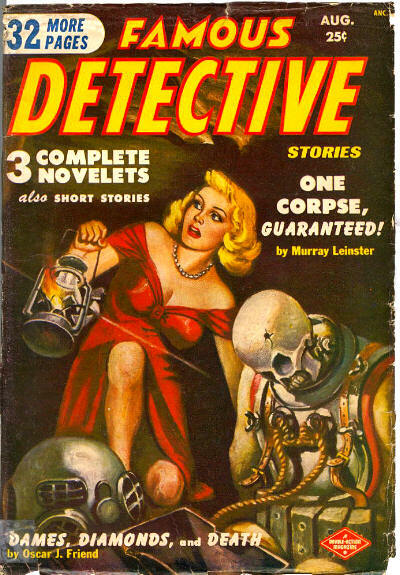 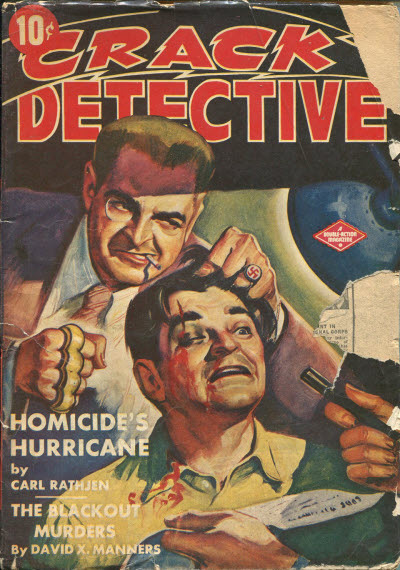 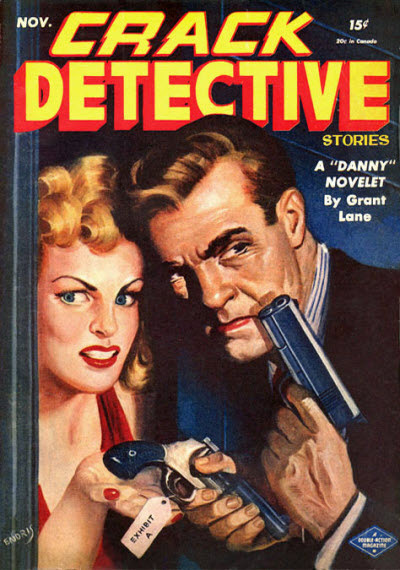 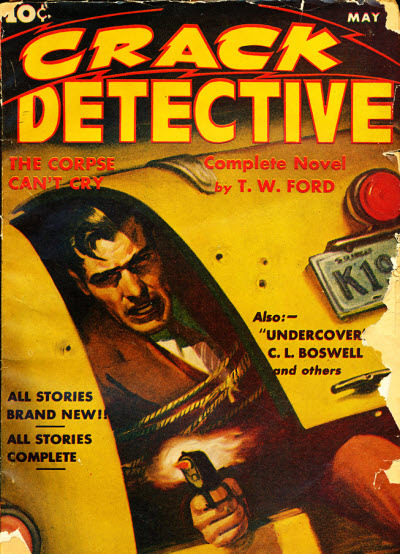 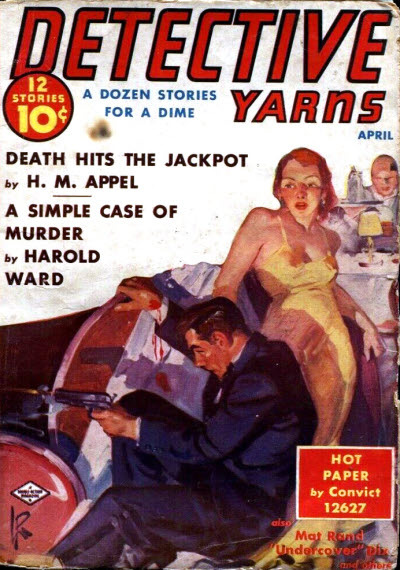 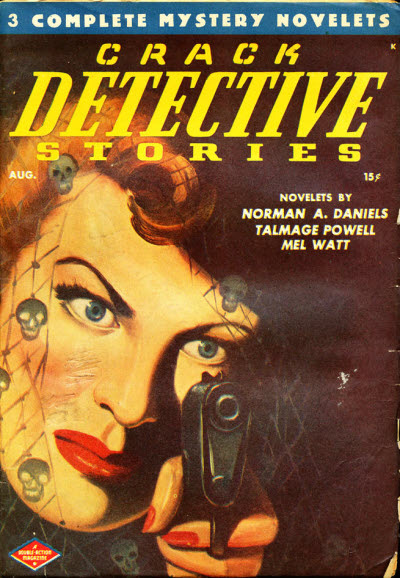 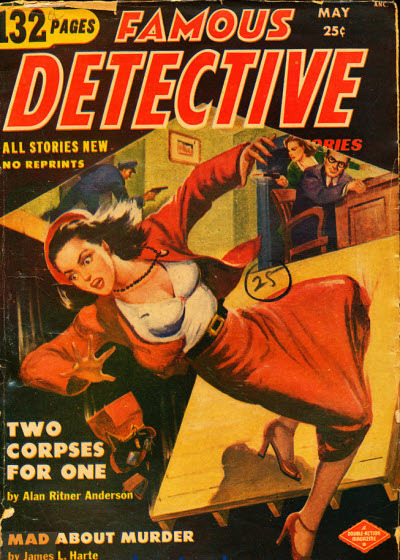 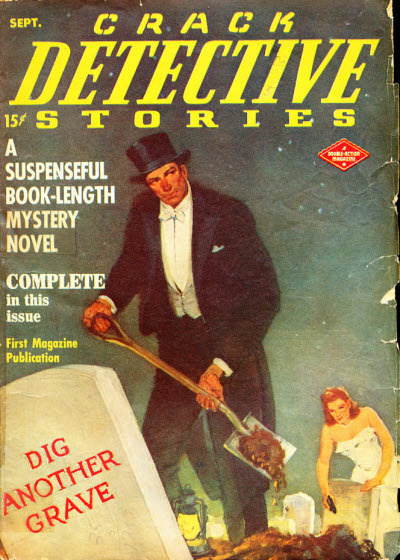 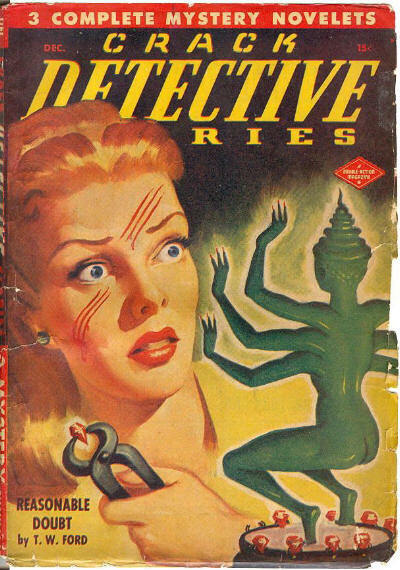 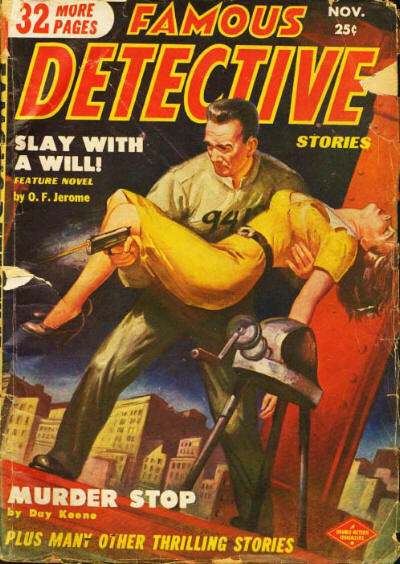 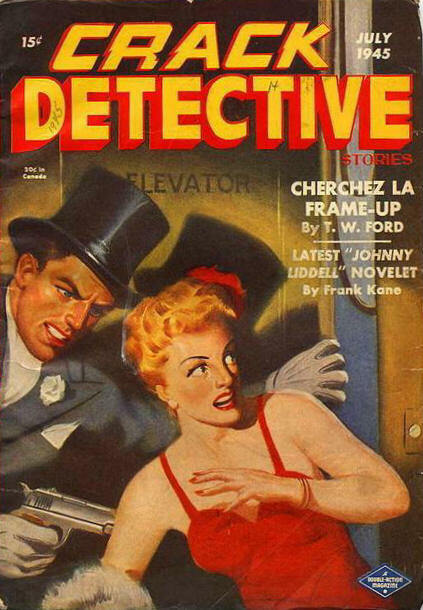 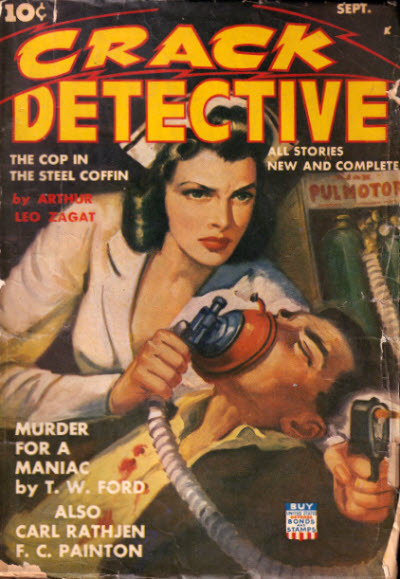 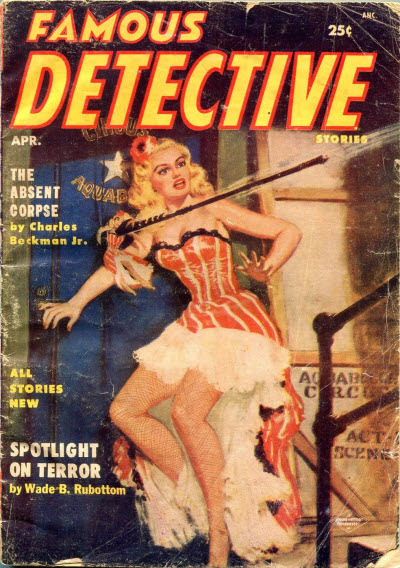 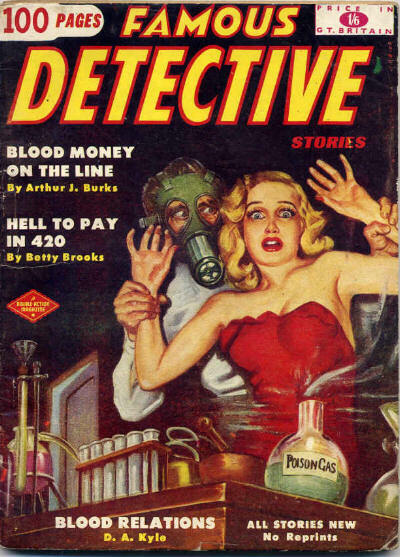 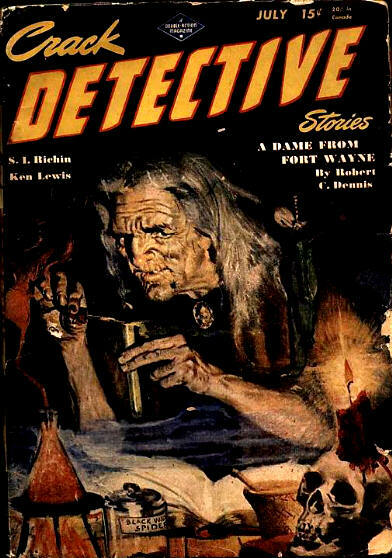 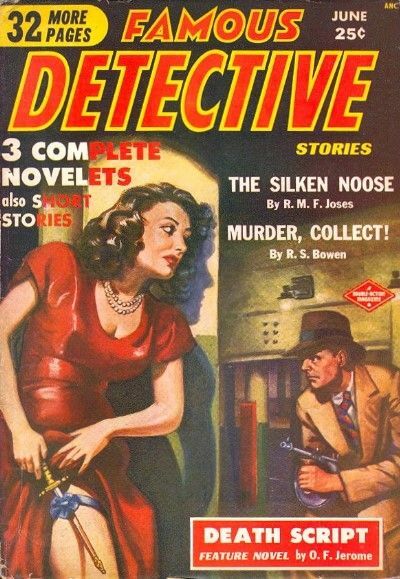 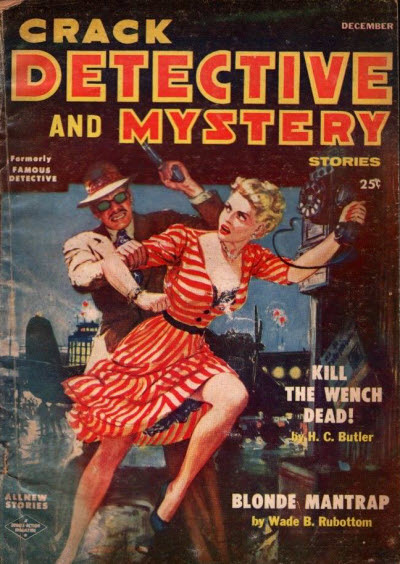 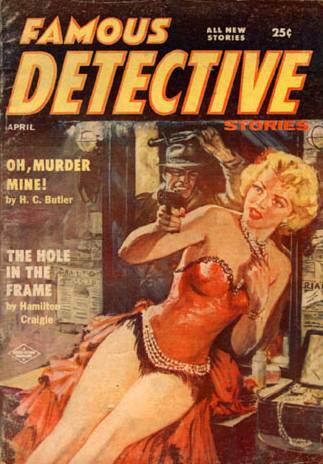 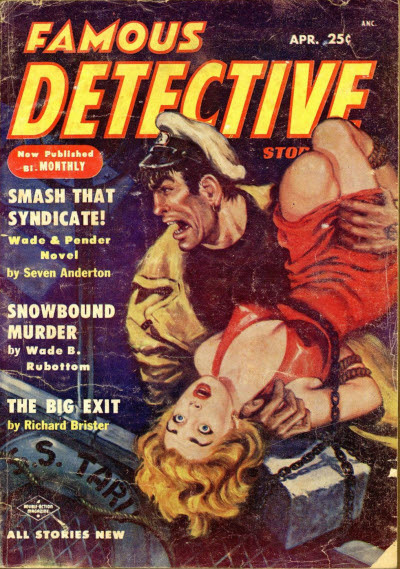 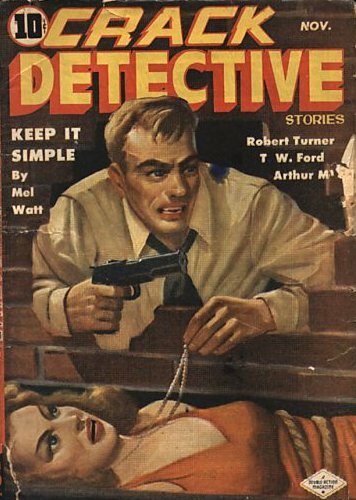 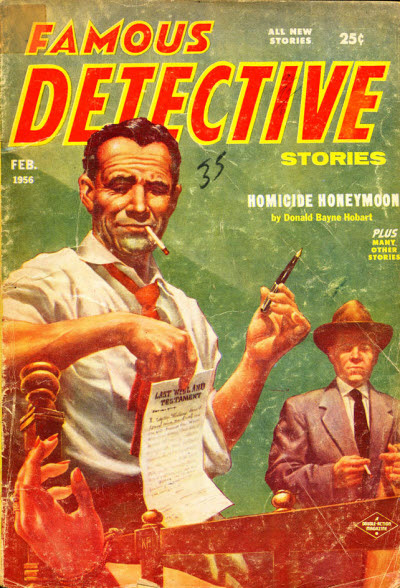 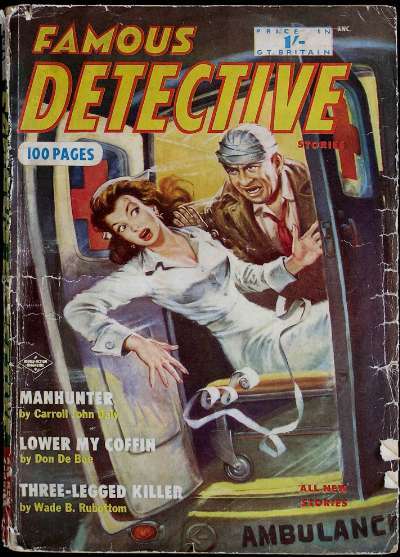 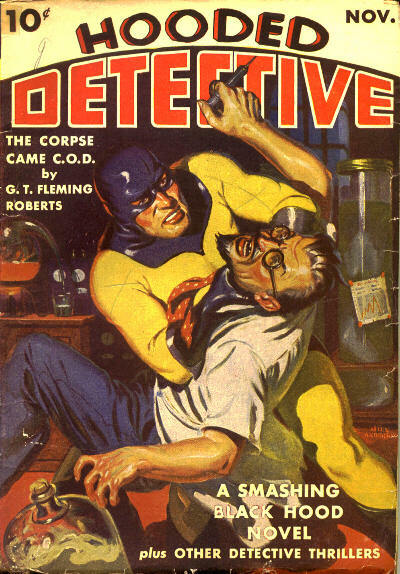 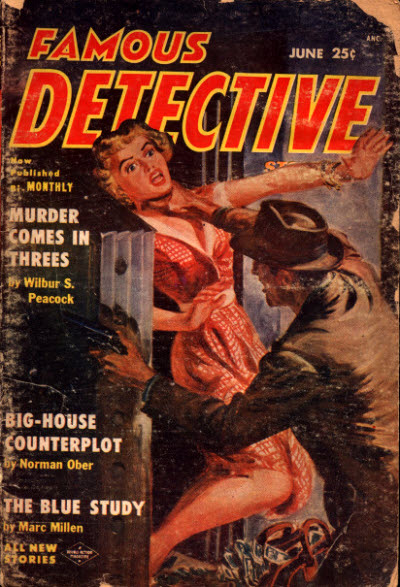 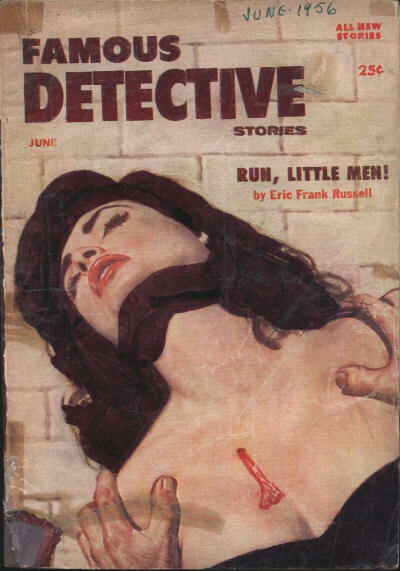 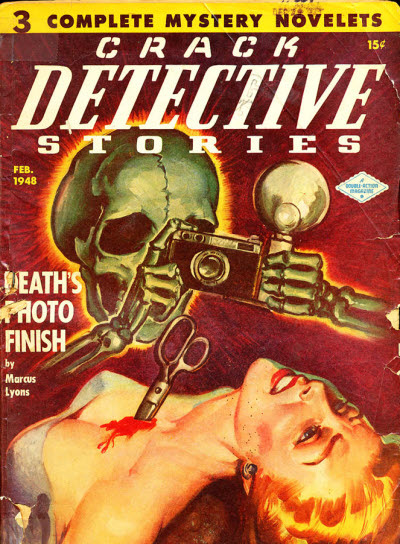 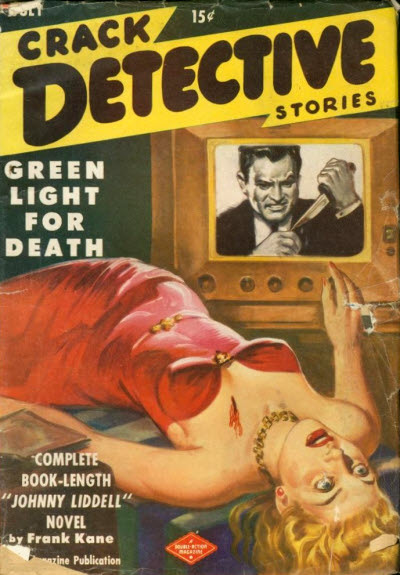 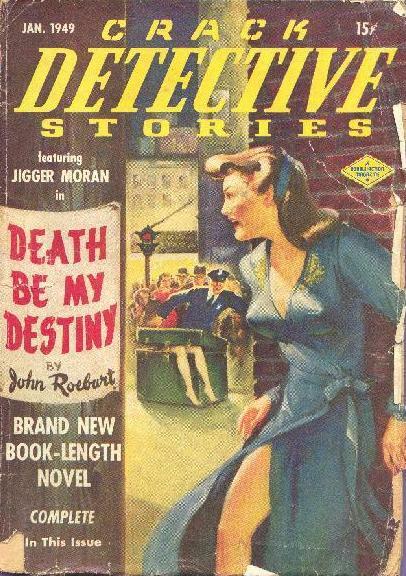 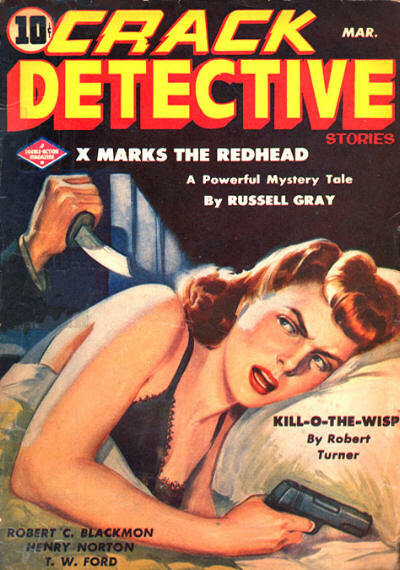 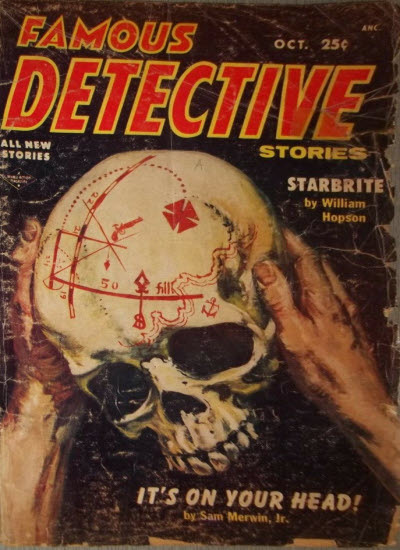 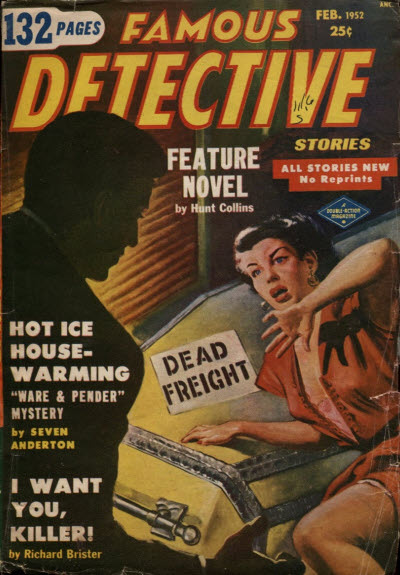 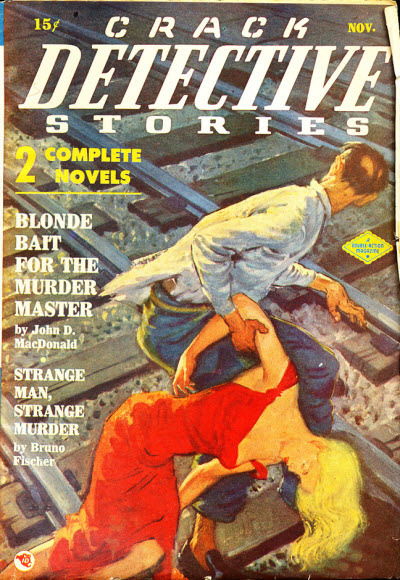 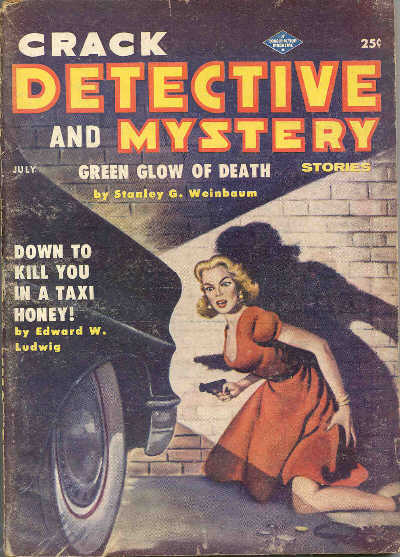 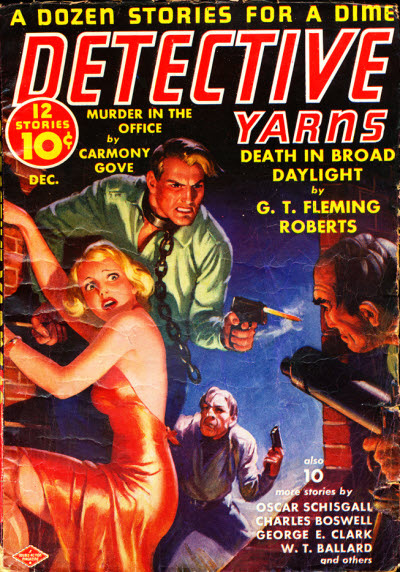 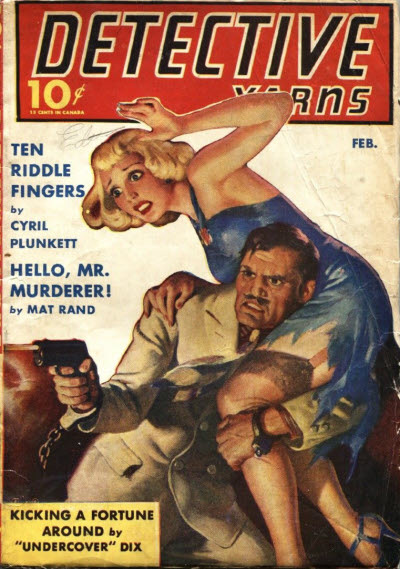 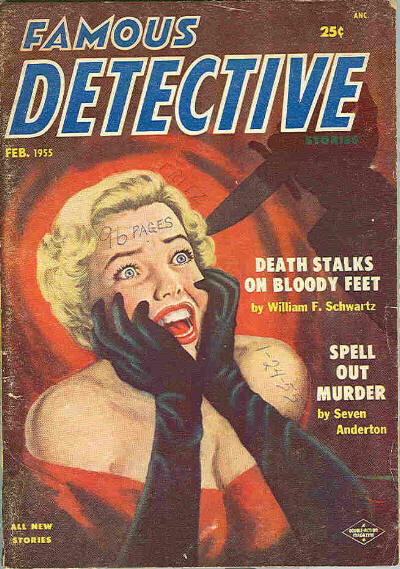 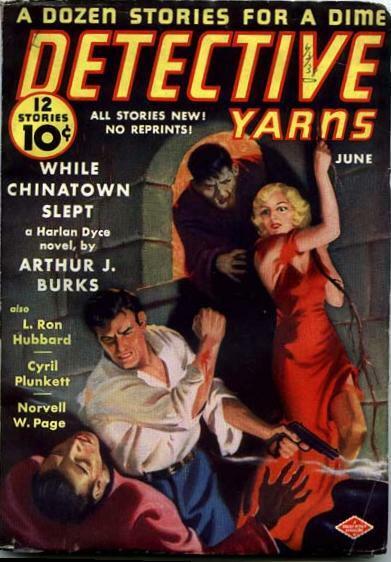 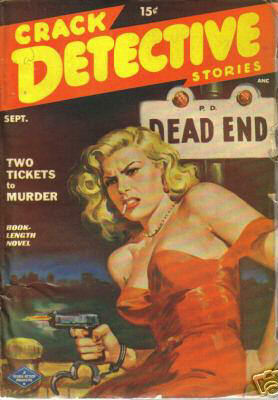 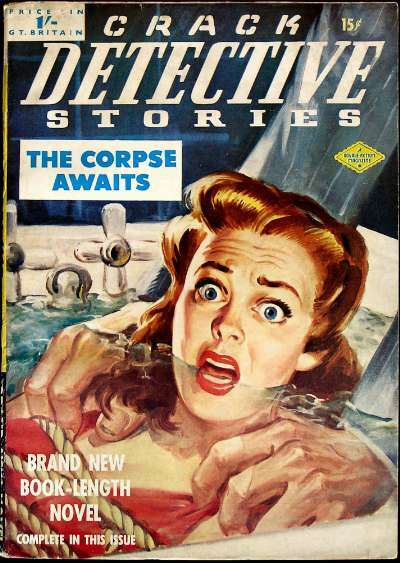 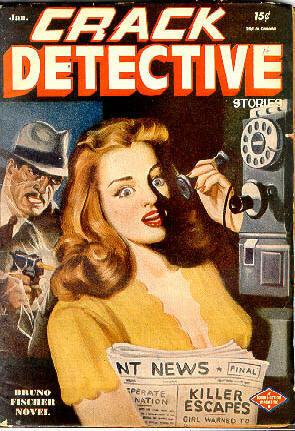 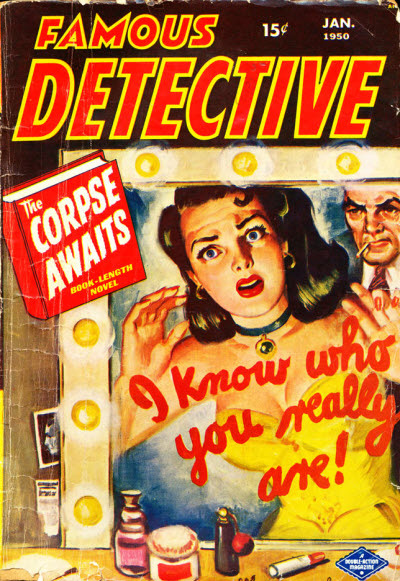 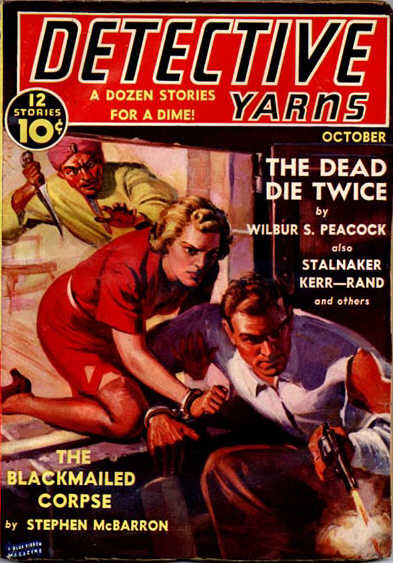 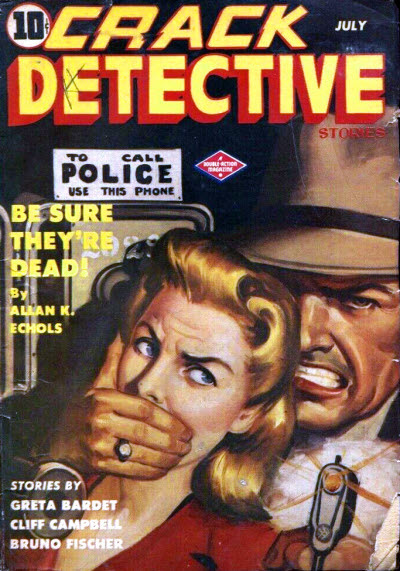 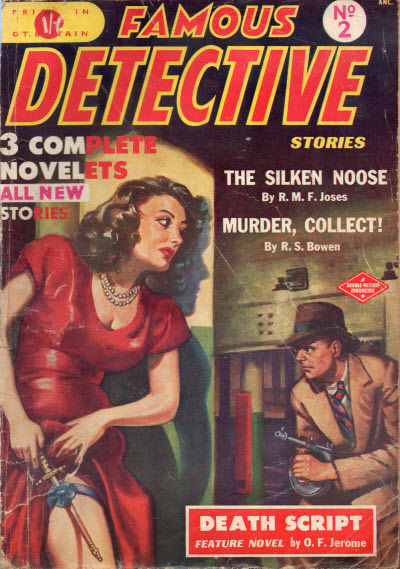 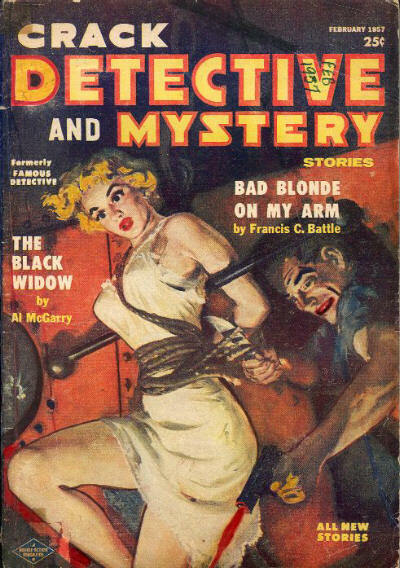 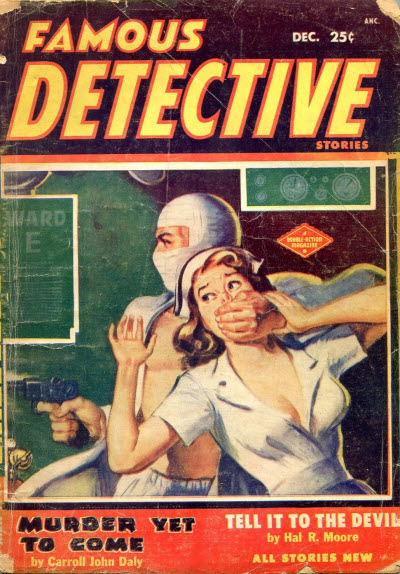 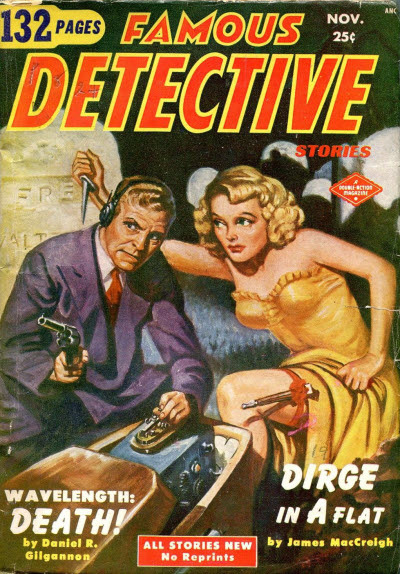 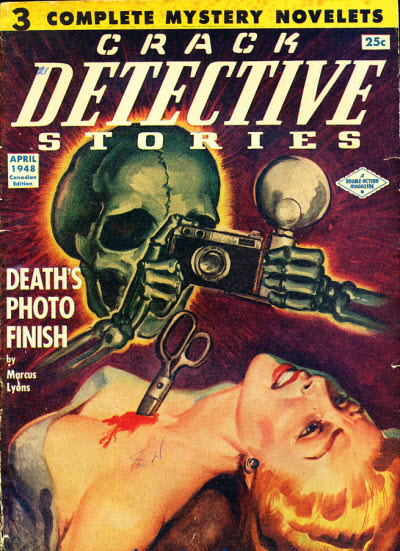 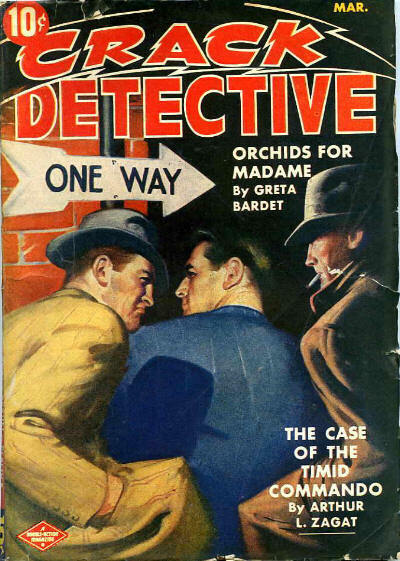 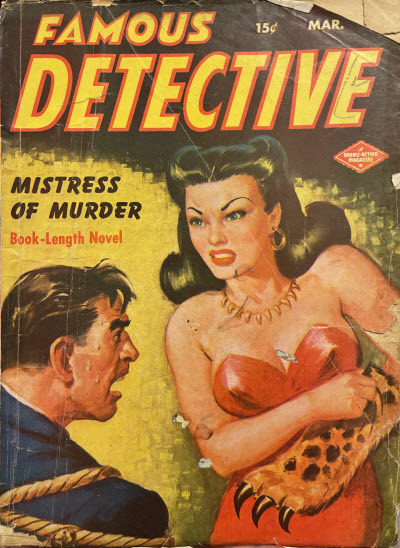 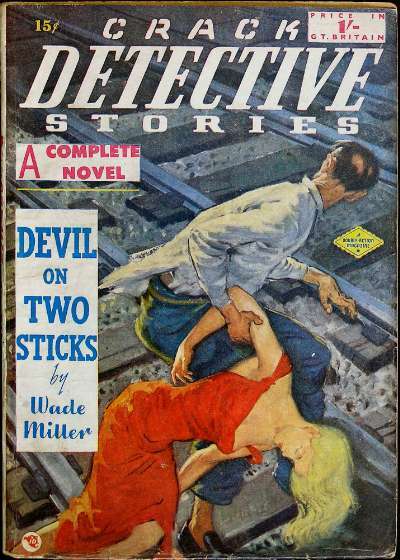 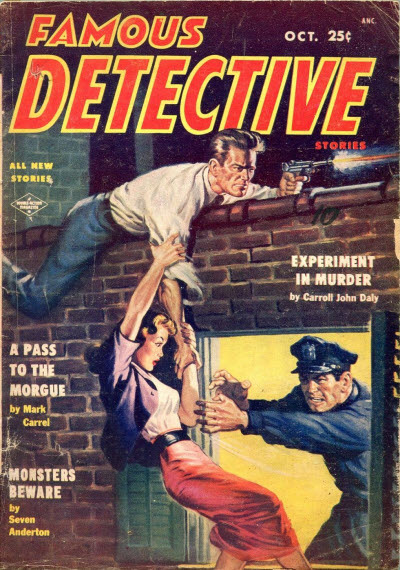 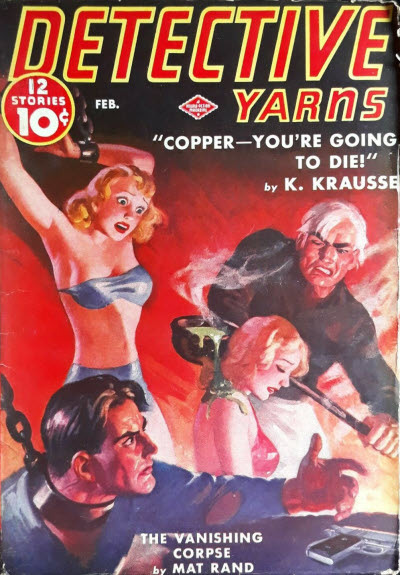 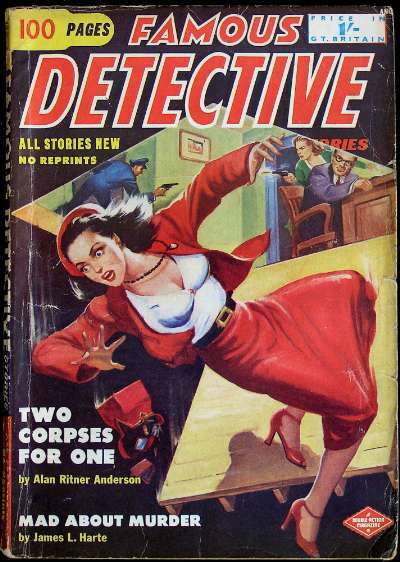 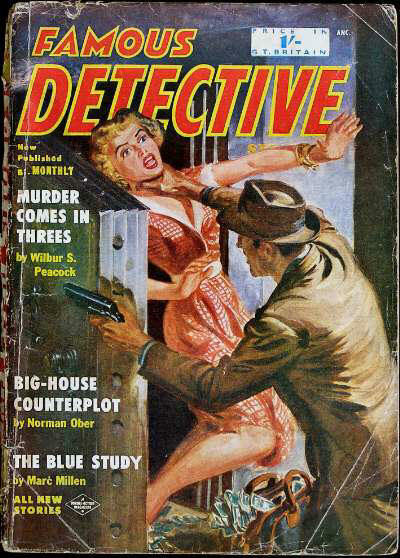 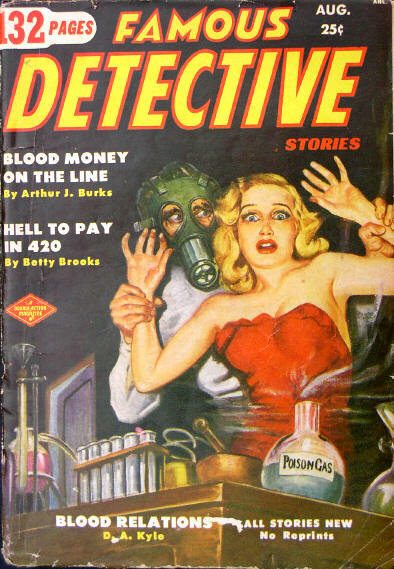 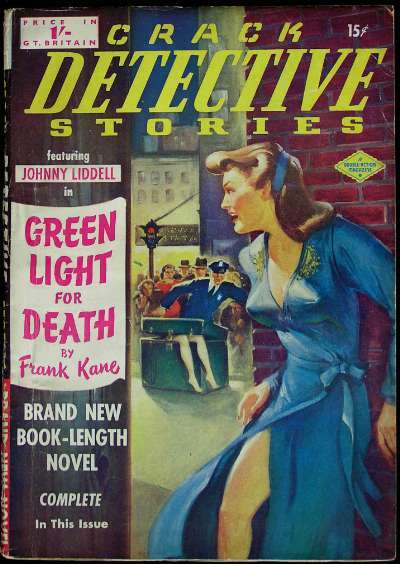 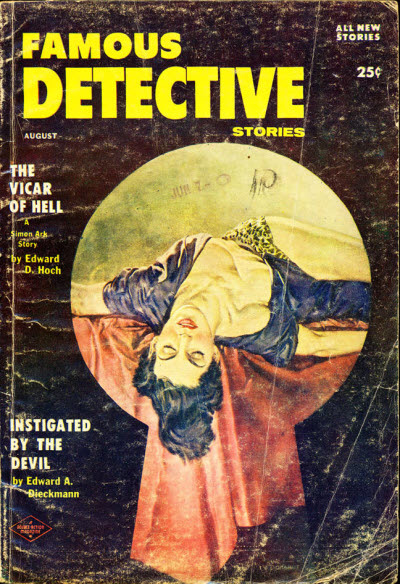 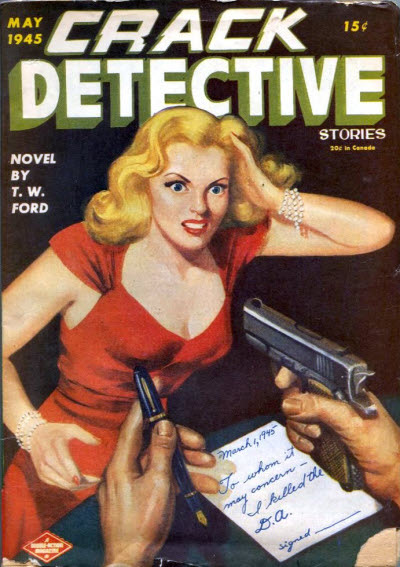 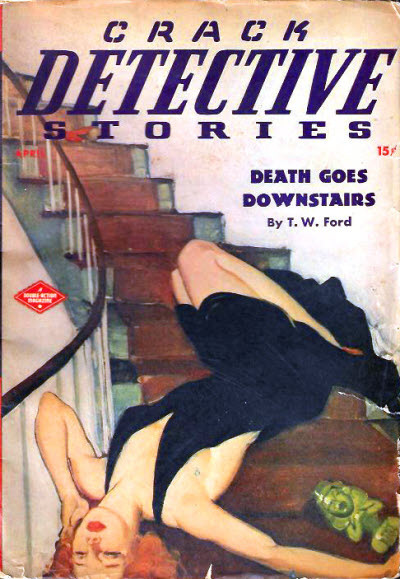 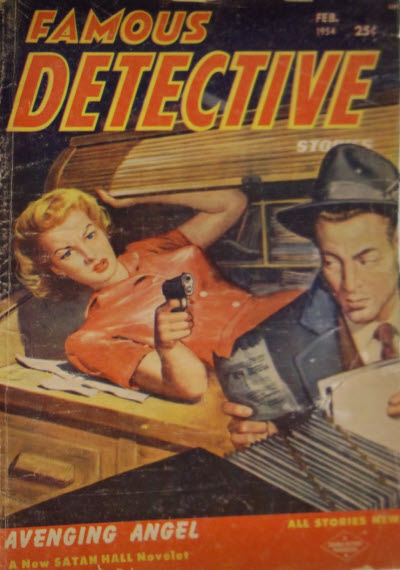 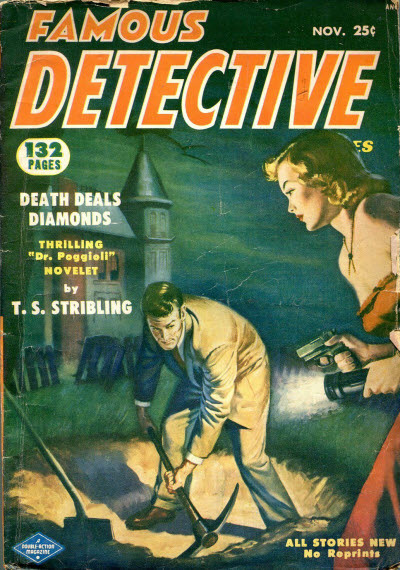 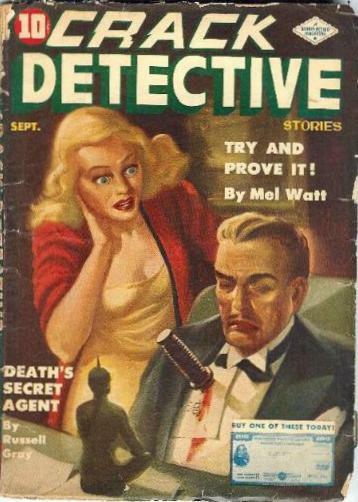 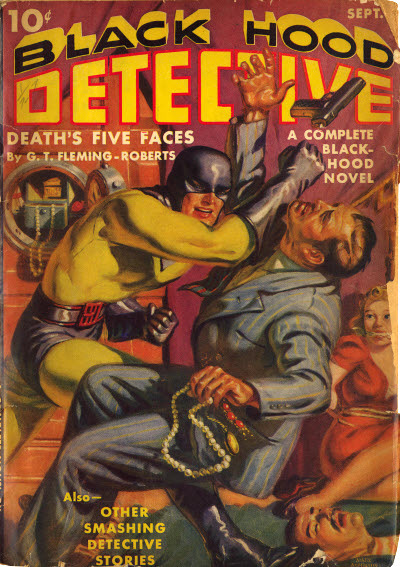 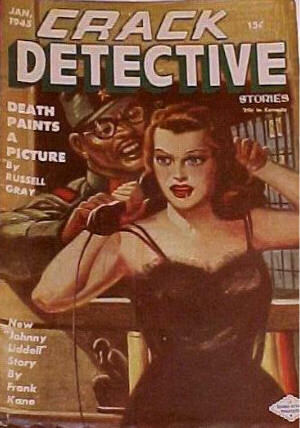 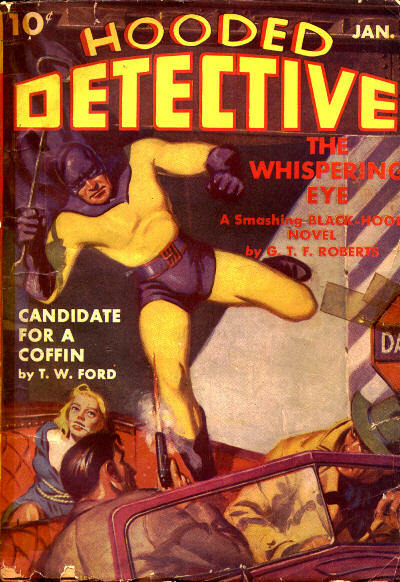 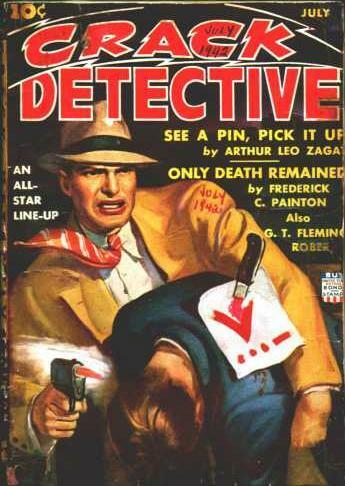 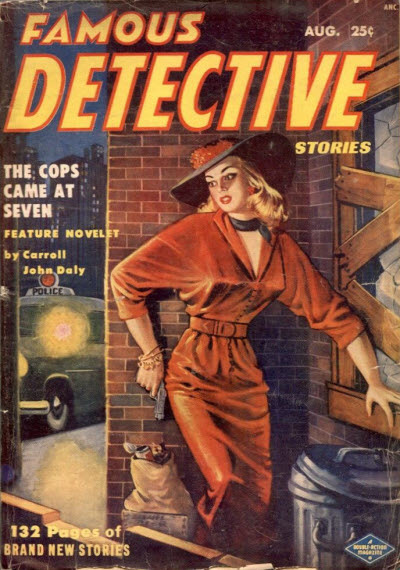 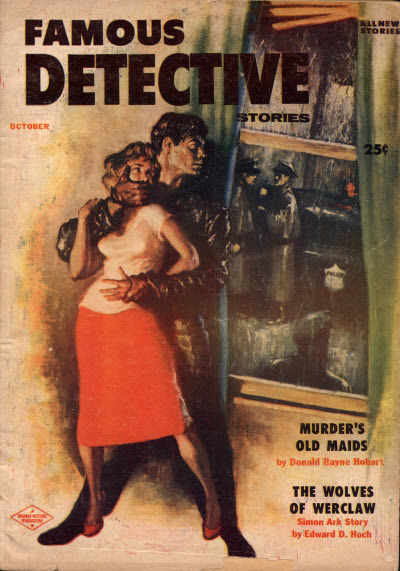 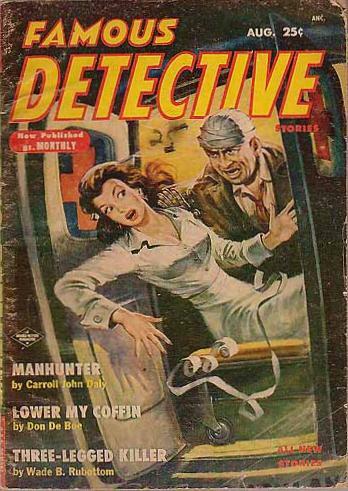 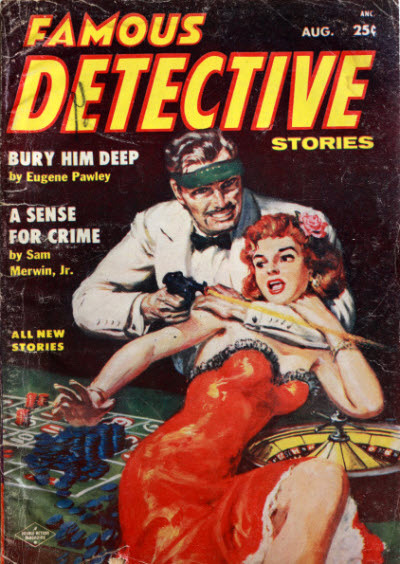 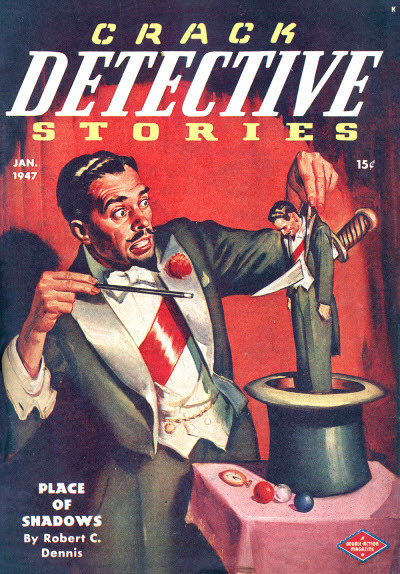 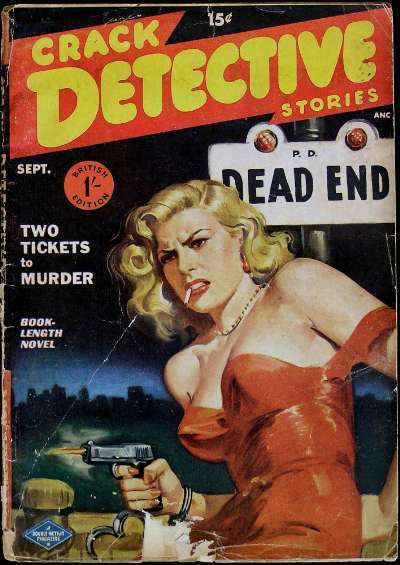 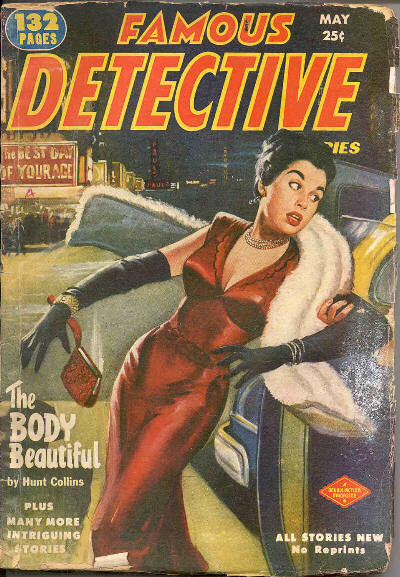 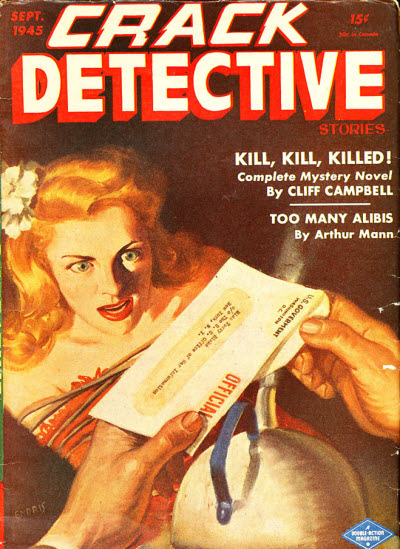 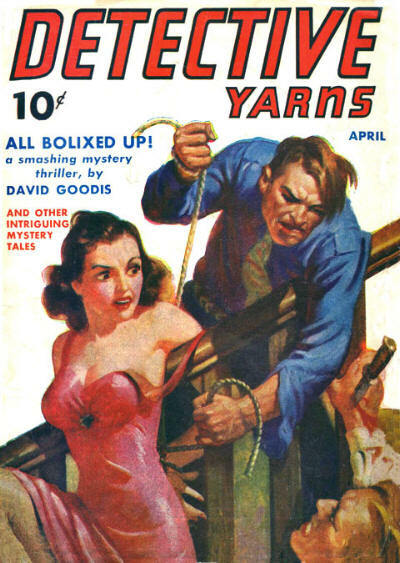 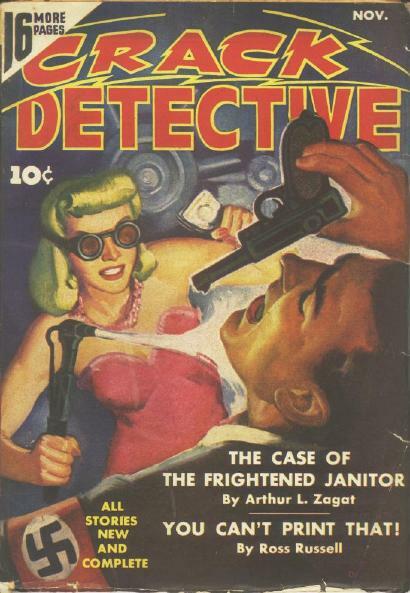 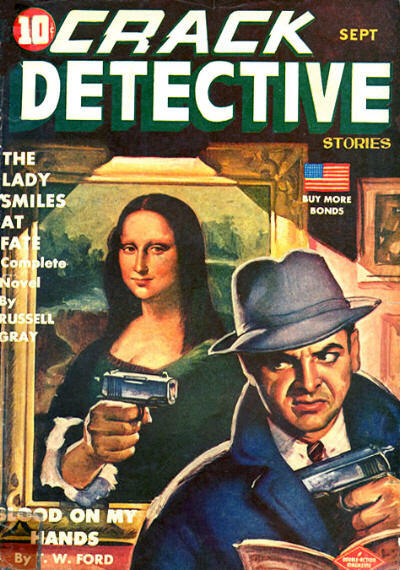 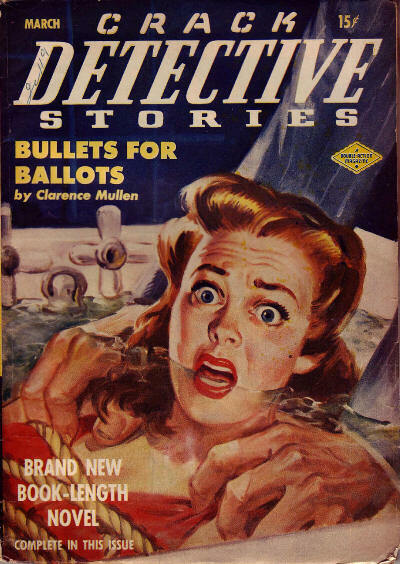 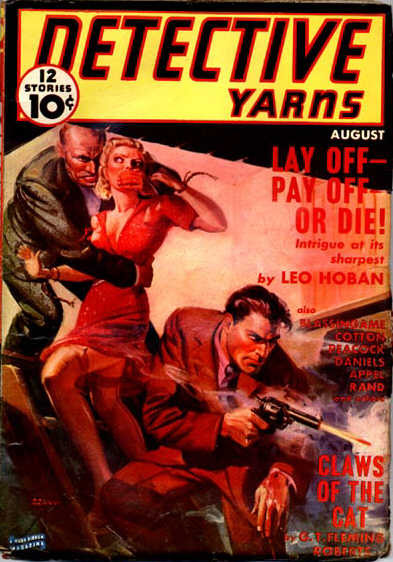 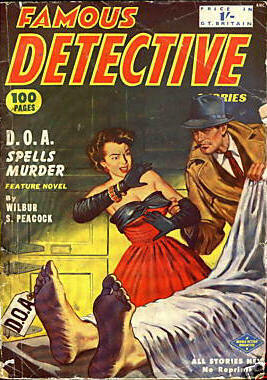 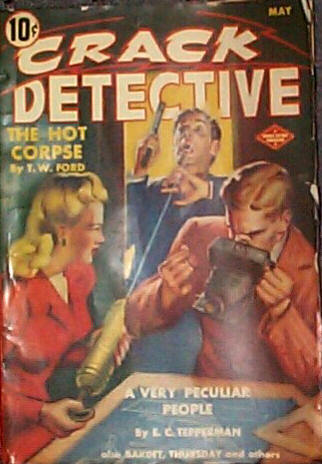 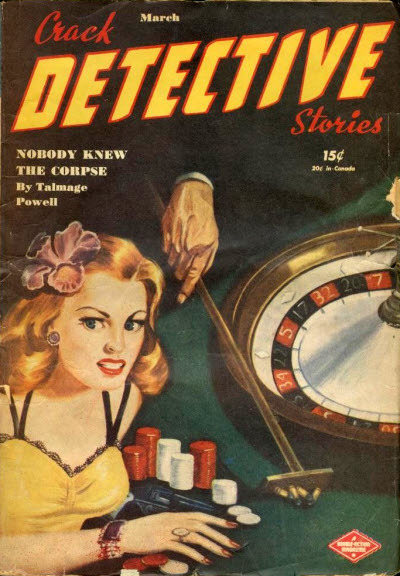 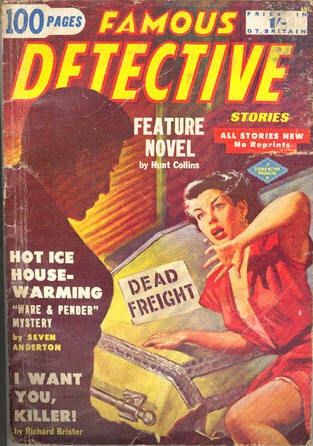 In all it ran for 97 issues over a period of 20 years, making it one of the very last of the detective pulps. 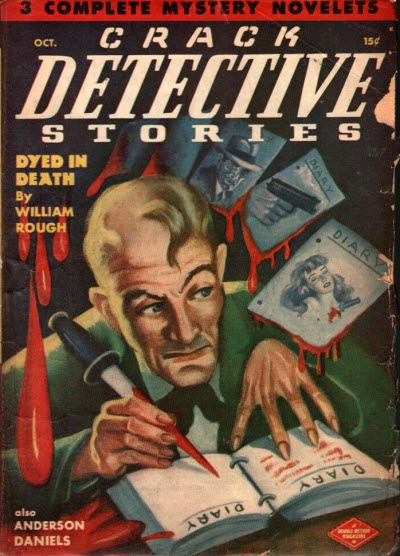 There was a British reprint edition of Crack Detective Stories and Famous Detective Stories, and a Canadian reprint edition of Crack Detective Stories, at least. 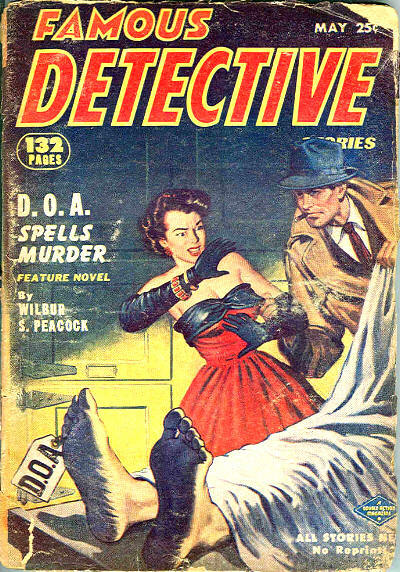 The 1949-1951 issues were as Crack Detective Stories and the remainder as Famous Detective Stories. 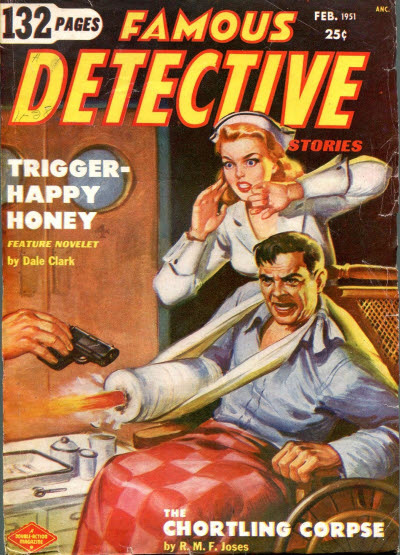 Other issues probably exist.